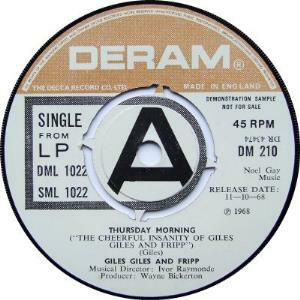 This crazy barrister and solicitor firm called GILES GILES & FRIPP created a really goofy album full of surprising odd ditties in a typical English mode not unlike Monthy Python humour. Although only a trio, the two Giles brother and Robert Fripp layed down partly the basics of the future KING CRIMSON sound. 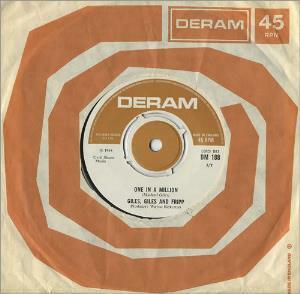 Plans for a second albums were made with the arrival of Judy Dyble (ex-FAIRPORT CONVENTION and future TRADER HORNE) on vocals and Ian McDonald on wind instruments. But this was not to be and happily enough, was created KING CRIMSON. Clearly the genesis of King Crimson. I think that the main importance of this album is really of being an immediate antecedent to the formation of King Crimson, but the musical styles of both bands are really very different, because this band was really a strange mixture of Jazz and Rock sounds with bizarre lyrics talking about some strange characters with a good dose of British humour. So, sometimes it is difficult to understand the humour of some of the lyrics being very British in sense. But anyway this album has some funny moments and very good musical performances by a trio of very good musicians. It still has some very good Prog related arrangements and particularly Michael Giles shines in his drums playing, while Robert Fripp`s guitar playing is more oriented to Jazz than to Rock, and the same could be said about Peter Giles`s bass guitar playing. Anyway, with this strange mixture of musical styles and comedy lyrics it is not really hard to understand why this album and this band didn`t have success then. But even in the present, this album is not a very interesting listening, apart from the historical interest and curiosity. Maybe the Britsh fans of King Crimson could be now be more interested in this album and in this band, but for the other fans of King Crimson it could be more of a collector`s interest. An appropriately named album indeed. Sort of Monty Python meets King Crimson, even though it predates both by a little. Out of the two albums that serve as parts of an early Crimson sandwich, this one I like the best (the other one being McDonald And Giles), probably due to the presence of Mr. Fripp. His signature style is pretty well developed at this point. There is a heavy '60's flavor to some of the music that might be off-putting to some, particularly when compared to In The Court Of The Crimson King, which I find has a certain timeless quality to it. So, dated perhaps, but after getting big into KC, this was a nice discovery. 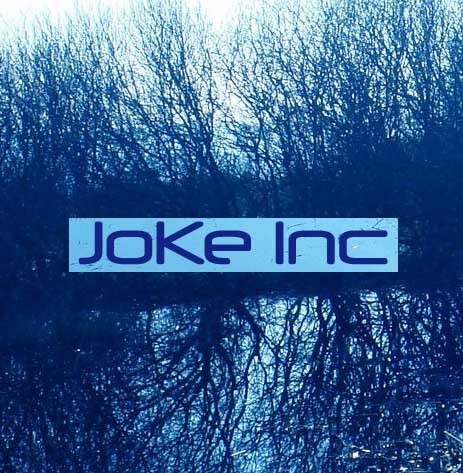 If you don't believe humor belongs in music, then you might want to avoid this one. You will want to check this out if you are interested in hearing something that is foundational to King Crimson. "And then once again you can hear hell's heat." Admirers of Syd Barrett and the more pastoral side of early Floyd will like this. Unfortunately it's not as strange or acid drenched but retains a certain British quirkiness throughout. The songs are sursprisingly catchy and remind me of Bowie's first album from '67. The Saga of Rodney Toad, which appears more or less at the end of each tune was a terrible artistic decision. You can forget anything you've heard about Monty Python humour. This is straight from the mouth of an eight year old child. It's infantile and uninspired spoken by an uncharismatic Pete Giles. 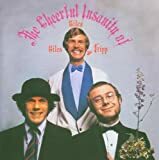 Thankfully the tunes more than make up for this blunder, but still relegates 'The Cheerful Insanity Of Giles, Giles & Fripp' to a three star rating, rather than the four it truly deserved. King Crimson fans are advised to steer well clear. Although even at the age of 22, Fripp had a superb set of guitar playing fingers on him. There's also the unlikeliest of bonuses with a smiling Robert Fripp on the front cover, which is something I never thought I'd see! Do you think his face shattered into 1000 pieces immediately afterwards? For some reason, this album reminds me a lot about the Wilde Flowers album I reviewed many, many moons ago. That too was a compilation of demos and oddities which was a taster for Caravan and Soft Machine. So is this album and it is a forewarning about things to come (King Crimson). The connection here is the two versions of I Talk To The Wind. Versions who just prove how great this song is. But I still prefer the King Crimson version. The rest of this album is a mix of female vocals led pop and some eccentric pop/rock in the British vein in the best 1960s tradition. The music is actually not too bad. But I cannot deny that this album is for fans and collectors only. This album does not have enough legs to stand upright on it's own, I am afraid. 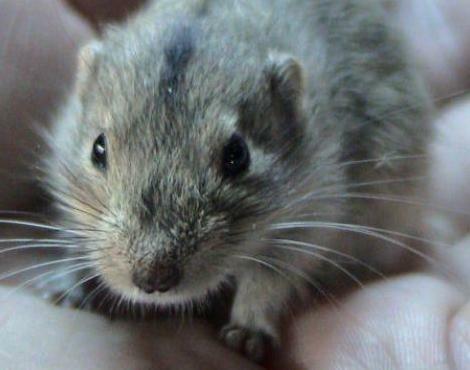 But it is still worth checking out. 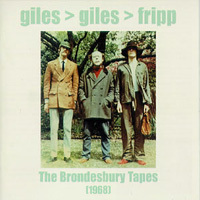 Once upon a time, before the days of King Crimson, Robert Fripp and original KC drummer Michael Giles were part of a trio (with Giles' brother, Peter) called, appropriately, Giles, Giles and Fripp. Their one and only album, reviewed here, sold a very very small number of copies, and it is definitely quite true that the only reason I should know of its existence is that all of its members would eventually play for the mighty Crim. Despite that, though, it's amazingly enjoyable, and definitely not a chore to sit through or to review. The greatest thing about this album is that, whereas Crimson albums wouldn't have anything resembling a "national identity," this album is so thoroughly British in so many places that I can't help but grin. 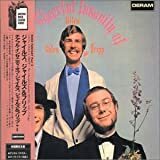 First, I must point out that, thanks to this album, I can never ever hold any malice towards Robert Fripp again, if only because nobody who can deliver such a hilarious spoken piece as "The Saga of Rodney Toady" deserves anybody's hatred. This is BRILLIANT straight-faced British humor, and Fripp's delivery is simply perfect as perfect can be - I can't imagine anybody else saying "Rodney's mother was fat and ugly, and Rodney's father was even .... fat-and-uglier" or anything along those lines and doing it better than good ole Robert does here. God Bless Robert Fripp. The rest of the album, with the exception of a LAME repeated spoken partner to "Rodney Toady," entitled "Just George," is basically a ton of Kinks-style Brit Pop crossed with some jazz ideas and the occasional bit of Moody-Bluesian balladry. Some bits of Crimsonian elements creep in here and there (some of the vocal harmonies in "North Meadow," the brass riff in "Elephant Song," the dissonant guitar lines of "The Crukster," the bits of classical influence in "Suite No. 1"), but for the most part this is just really solid, slightly tweaked pop with elements of music hall. For a Crimson fan, I guess that wouldn't necessarily be the best news, but for somebody like me, who likes the concurrent Kinks albums (not to mention that I consider Between the Buttons one of the best pop albums ever), it's cause to pump my arms up a couple of inches and utter a quiet "woo hoo." Some songs are better than others, to be sure, but after thinking about this album again, I'm quite sure that I won't be able to get the melodies to "One in a Million," "How Do They Know?," "North Meadow" and "Thursday Morning" out of my head for quite a while. So yeah, even though it's kinda hard to give this an extensive review, this is one of the most worthwhile historical curiousities I've come across in a long time. There's tons of interesting, tweaked and hilarious bits to dig out while listening throughout, and if it weren't for all these ridiculous "Just George" bits, this would have a chance to take quite a significant place in my collection. 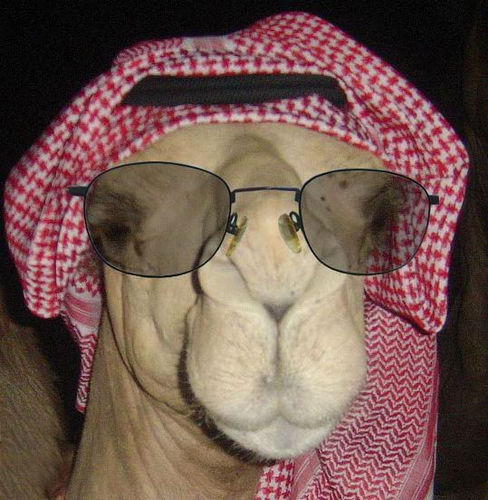 As is, it's still freakin' amusing. Compeetly into King Crimson since the mid 70's, and knowing about this album for 25 years, i was very exited about getting it when i finaly got it by postorder sometime in the late 90's. I was expecting something in the line of "In The Wake Of Poseidon" i guess. My disapointment was allmost physical, while i listened trough the hole thing. This was absolutely nothing like King Crimson, and the CD was hidden on the shelf for a few years. The album is very 60's, silly beat music, with silly songs, was the first impression. And very english too, reminding you of Monty Pytons flying Circus. 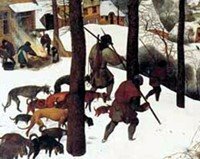 After a few years the shock was slowly lifting, and i started listning to the project, with a more open mind. Finding infact quite a few nice moments in there, and now its become an album i do infact like to give a go, when Im in that mood, where I want something light and diffrent, from whats normaly detonating out of my loudspeakers. Its relaxing, its Jazz'y, it hold infact some rather complex instrumentations, and its not all that badly made. 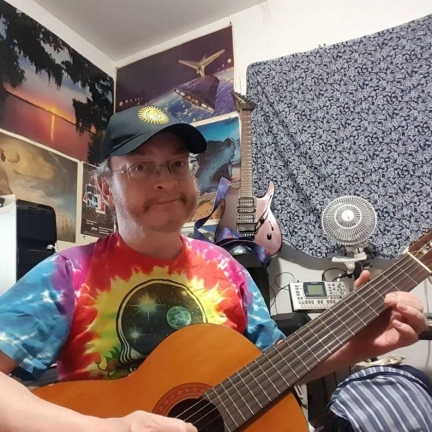 But still if you are looking for those fenomenal guitar solo's, those huge arrangements with a classical touch, the precision and complexity in composition quality that you find on "In The Court Of The Crimson King" this is not where to look for it at all. And you will be as disapointed as i was 10 years ago. Mainly due to the fact that this is not a prog. album im split between 1 star - Only for completionists, and 2 stars Collectors/fans only. I think any Fripp collector, should have this album, on the other hand if you are "only" a Crimson collector, other Fripp recordings might easily come before this one. I'll give it 2 stars, it is an ok album, seen in the context of 60's recordings, and the Psychedelic sounds of the time, and it is experimental in its own wierd way. But i would go with only 1,75 if i could. Do not go into this album with the idea that this is King Crimson. Despite Mr. Fripp and the Giles brothers, this bears very little resemblance to the music of the Crimson King. The first clue, in all of the photos on this album, Fripp is (gasp!) smiling. A friend of mine once said that the one common aspect of all of the early music from the great proggers of the seventies is silliness. This is true of The Nice, early Pink Floyd, and even band's like Tomorrow (Steve Howe's pre-Yes group). 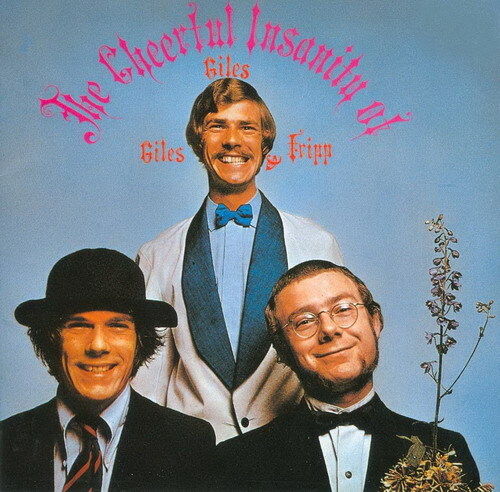 But few were as silly as Giles, Giles & Fripp. The songs are all short, mostly under three minutes, and are not bad, for sixties psychedelia. Fripp plays mostly jazzy sounding riffs, only breaking out on the classical sounding Suite No. 1. The songs are divided into two groups, each strung together by some Monty Python- esque spoken word sections (remember the Gumby sketches?). All-in-all, this is not an amazing album, but certainly a welcome part of my collection. It's difficult to decide whether to rate this ** (collectors/fans only) or *** as the majority have rated. Historical interest is noticeable: here we are already on the brink of the formation of KING CRIMSON, much much more so than with their only proper studio album - its cheerful sixties pop was actually quite far from KC. Partly "Brondesbury Tapes" is circulating the same (and similar) stuff, and partly it shows what was coming In The Court Of The Crimson King next year. Of course saying so may lead you wrong, because there isn't much of the progressive, Mellotron-loaded new world of that seminal album, just outtakes of a couple of its mellow tracks, 'I Talk To The Wind' and... and... oops, sorry, that's all. But at least multi- instrumentalist Ian McDonald is already in for many tracks. So doubtlessly the group sound has improved from the Cheerful Insanity album (e.g. McDonald's flute/sax/clarinet). It's just mono and the sound quality not exactly perfect. The technical imperfection however is not taking off my third star, it is the lack of coherence and overwhelming absence of repetition. Many tracks are here twice, some pairs not even notably different from each other, and that makes this CD taste like pure collector's stuff. Maybe a better organizing of running order could have improved things a tiny bit. Or maybe not. But the fact remains that of the 72 minutes only about one third says already all that there is to be said. Some of it is very good, yes, but the blood relation to King Crimson doesn't make it comparable to the latter. At its lowest ebb, it comes across as almost a hippy take on Flanders and Swann meet the Goons, while at others, the mood takes a darker turn and some real pathos is evident. 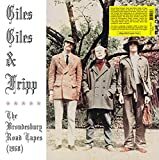 Unfortunately, these moments are too infrequent for Giles, Giles and Fripp to sustain and the remainder is a mildly diverting but whimsical collection of 60's pop songs. If the album has any enduring value, it is probably only as a fascinating document of the types of influences and inputs that would be assimilated from the youthful heir that was later crowned King Crimson. Fripp's previous stint in a Bournemouth dance band is evident here and it may be quite startling for many progheads to hear him 'vamp' along like an old jazz pro on these numbers. He also reveals a fondness for guitarist Wes Montgomery and mimics perfectly the latter's use of 'octave' soloing. Call Tomorrow - Somewhat sombre in tone where the trio drop their 'wacky' guise for once and present us with an angular melody that undergoes some arresting harmonic changes redolent of liturgy as conceived by a pious Syd Barrett. The Crukster - Nascent Frippertronics over which a discomfiting narrative, completely at odds with the rest of the album, and reminiscent of the delivery in Procul Harum's In held T'was I is recited. Thursday Morning - This is my favourite song on the album but no, it ain't gonna give In the Court of the Crimson King any sleepless nights, but is clearly the most fully developed and successful tune on the record. 'Suite No 1' - Some incredibly rapidfire picking from Bob, which echoes (somewhat tenuously I admit) Fracture from Starless and Bible Black This is what 'Django Reinhardt plays the music of King Crimson' may have approximated. Erudite Eyes - Harmless enough 60's styled pop tune with a medieval tinge not really worthy of closer inspection until it mutates without warning into a very interesting and spacey 'freeform improv' section where if my ears do not betray me, Fripp's inimitable thick fuzzy liquorice tone can be clearly heard for the first time. If The Cheerful Insanity of Giles, Giles & Fripp had been edited to remove the excruciating and puerile dialogue that intersperses the tracks, this may have rewarded repeated listens, but in its present form Moonchild is still but a sparkle in Robert's eye. This quirky, idiosyncratic, folky collection of whimsical little ditties represents the genesis of an embryonic King Crimson. For those used to the mellotron and woodwind-laden first two King Crimson recordings, this recording, which on initial release sold about 600 copies will present a significant and rude shock. Not to worry, none of the music is particularly memorable, so the risk of having flashbacks from the trauma is relatively small. Musicality is more than evident though stilted in comparison with King Crimson output. The lightweight and offbeat lyrics come off more as humor than anything else, and as such, it is frequently difficult to take this recording seriously. This recording is primarily of interest to King Crimson fans and to music historians, but it certainly not either groundbreaking or even excellent. It rates somewhere between two and three stars, probably closer to the former.